The Irish GPO has just released a new postage stamp that has a complete short story printed on it celebrating Dublin (HERE). 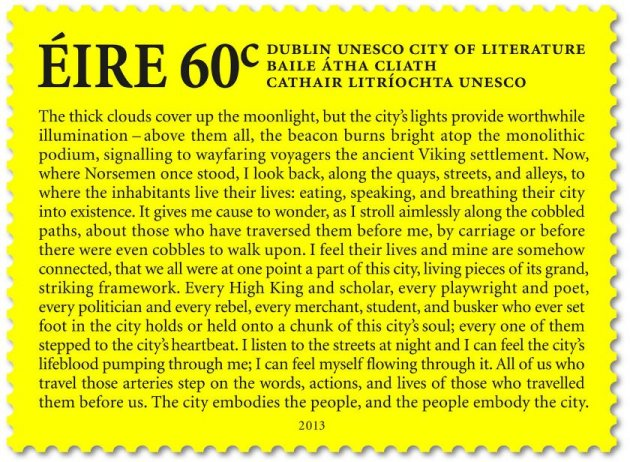 The 60c stamp has a short story printed on it, that was written by Eoin Moore when he was 17, describing the essence of Dublin. It celebrates Dublin’s permanent designation as a UNESCO City of Literature in 2010.